Couple Claims They Ordered Pizza on UberEats But Received... Oh My God What Is That?! 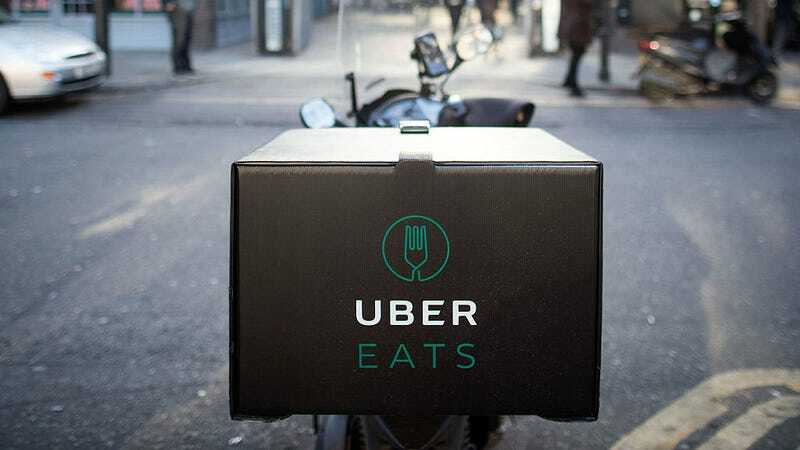 For all I know, Uber’s food delivery service UberEats is a perfectly fine method of ordering food. But the stomach-turning product that a Canadian couple claims showed up at their door instead of pizza ensures that I’ll be thinking twice about placing an order. Anna Kotlikova and her boyfriend, Blake Weinzettl, live in the suburbs of Toronto and they wanted to stay in on Sunday evening with a fresh pizza pie. They tell CBC News that they placed an order from a local restaurant called Montanas and the food was over half an hour late. What arrived can barely be called food. Two sandwiches and a wilted salad were in the brown bag, and Kotlikova tells CBC that “the smell overwhelmed the whole room.” This is your last chance to avoid seeing it. Okay, yeah, that’s foul. Sure, it’s just some moldy sandwiches but what kills me is the bite taken out of one of them. Retch. Maybe they were pulled out of the trash. Maybe someone had them sitting around, just waiting for them to be good and gross. But the mystery deepens. insisted that what was delivered was not what was sent. They explained that the food was sent as ordered and, indeed, the order number on the bag did not match the couple’s order number. What’s even weirder is that the couple posted photos of the order to their Facebook and a friend commented that the same thing had happened with their order that night as well. Kumar confirmed to CBC that Montana’s did have another customer with the same issue that night. An odd thing occurred with the UberEats app as well. Kotlikova received an alert that her food was on its way but the driver appeared to be going somewhere else entirely and was at least 15 minutes away. The restaurant is just down the street from her home. The company also said the driver has never had complaints and has a rating of 4.8 out 5. Had he been plotting this dastardly switcheroo with garbage food for months? Was he just waiting for his moment to ruin the appetites of two customers? We will probably never know. But Uber’s new chief brand officer is having a heck of a first day. Welcome to the team.